1. 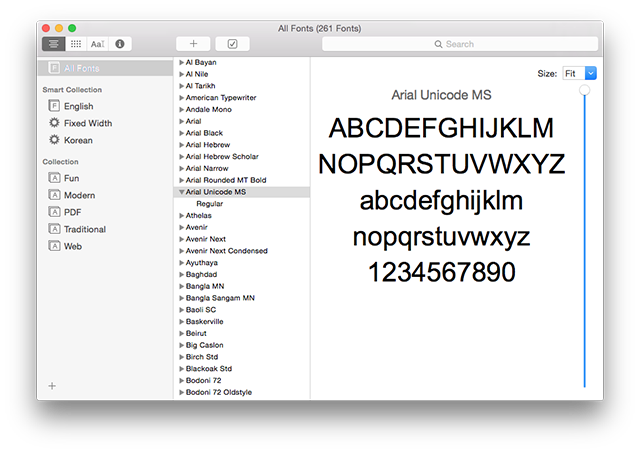 In Applications, start Font Book. 2. In the Collection column, click All Fonts (at the top). 3. In the Fonts column, click a font. 4. 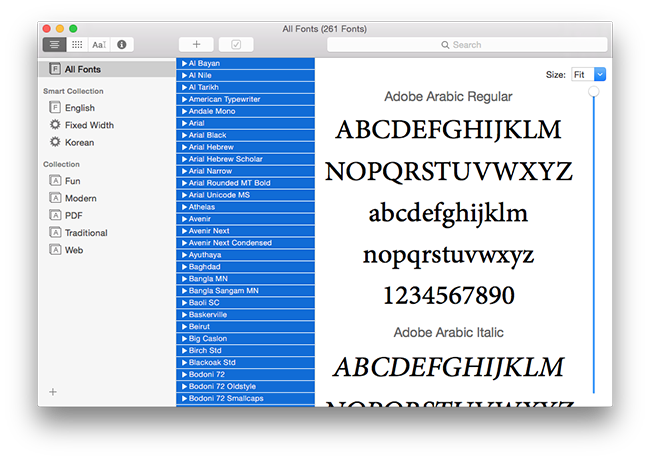 Type Command-A to select all fonts. 5. 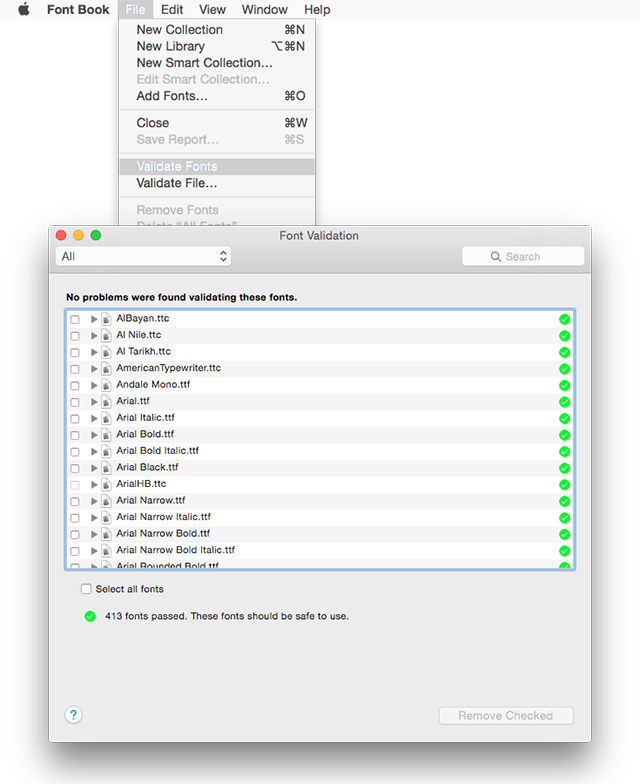 On the Application menu, select File > Validate Fonts. A dialog appears and the program checks your fonts. 6. Fix any font problems you find.